Radiation and biohazard materials change man and zombie alike. 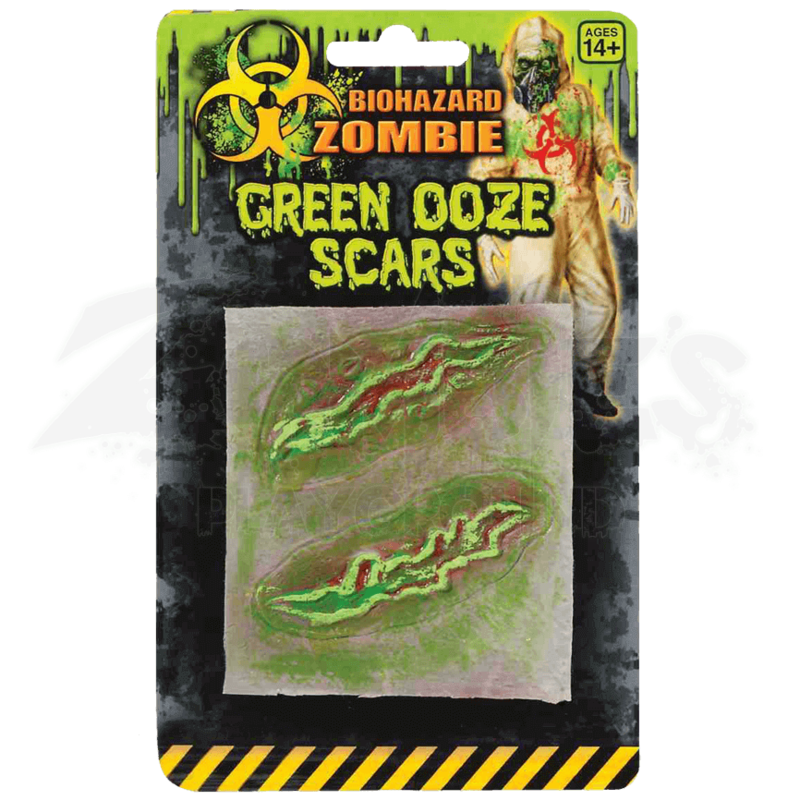 When a zombie is exposed to radiation and injured, it is much more likely to have sickly green injuries, just like these Biohazard Zombie Green Ooze Scars. Each pack of these injuries contains two separate wounds, both of which attached to a single sheet so that they can be cut out and applied however the wearer wishes. Each injury depicts a ragged gash that is contained with green ooze and puss, while the flesh surrounding it is stained with an eerie green color that is definitely not conducive to a healthy appearance. 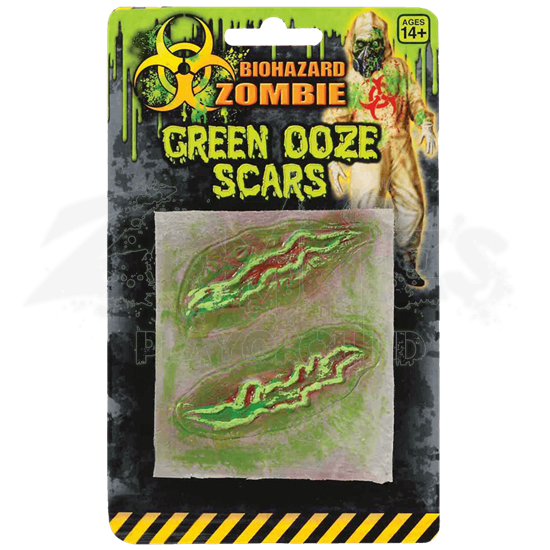 Add these Biohazard Zombie Green Ooze Scars to any of your zombie costumes to make it look contaminated by toxins and hazardous waste, which only really makes a zombie that much more dangerous to mankind.